Add prominence to your business with commercial remodeling services from Specialty Construction & Restoration LLC in Hattiesburg, Mississippi. It is important to present a professional image to new and existing customers to help attract and maintain business. All blueprinting is done in-house to ensure maximum customer satisfaction. We also provide restoration services in case of property damage. Refresh your restaurant with our top-quality restaurant renovation services. We build out to meet your business's specifications. Imagine the looks on your customers' faces when they walk into your updated dining room. New cabinets can completely refresh the look and functionality of your restaurant. Our superior mill work will provide an updated look that will keep your customers coming back. We are able to handle any changes to plumbing that may be required so you can completely redesign your bar or update your bathrooms. Contact us for a free consultation. 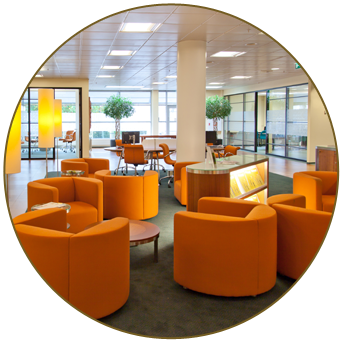 Let us transform your office into a more contemporary work environment. You will have happier, more productive employees with a revamped office space. See the difference an updated work atmosphere will have with new cabinets and light fixtures. We do all our own electrical work, meaning we'll be the only contractors you'll need to refurbish your entire office.